Few articles on architectural topics appeared in the local press from the mid-1970s through to the early 1990s. For one thing, virtually no private sector and very little public sector building was going on during those years. A symbol, perhaps, of this near paralysis in construction was the abandoned Quatro Estações [Four Seasons] hotel on the marginal, sabotaged by the colonialists in 1974-1975 and never completed; it stood empty for three decades. The shell was finally demolished on 31 March 2007 [see short video below]. This page, therefore, restricts itself to posting links to websites featuring current architecture as well as the work of major Mozambican architects such as Pancho Guedes and José Forjaz. 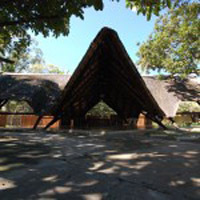 ◊ An Archisign webpage illustrating work done on the Inhaca Island resort (across the bay from Maputo, 45 minutes by boat): the buildings, dating from the 1970s, were upgraded. Click here to jump to the company’s page on the project. ◊ Ruben Morgado is a young Mozambican architect who has a modest web presence here. James Earle. Luxury or lifeline: building crèches in Mozambique. An article on a design for a creche in a Maputo suburb by Pierre d’Avoine. Click here to jump to the text. 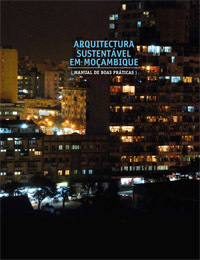 ◊ This is a news channel for architects and builders on developments in Mozambique, e.g. an announcement that a road is to be built, or that new schools are to be constructed. Click here to jump to the site. 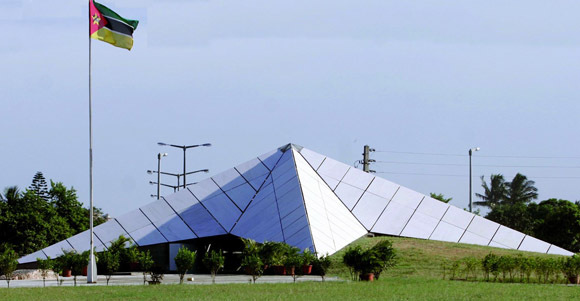 ◊ The web pages of the Faculty of Architecture at the Universidade Eduardo Mondlane. Amâncio d’Alpoim Miranda Guedes or Pancho Guedes was the most important and influential architect in pre-independence Mozambique, involved in around 500 projects mainly in what was then Lourenço Marques, but also in Angola and South Africa. After 1975 he held a professorship at Wits. The links below are to developed websites which give a fair idea of his importance. ◊ The official Pancho Guedes website. Includes a detailed biography, a downloadable PDF file of a tribute from Wits University in South Africa dating from 2003, and a page of links [all linked below]. Click here to jump to the website. 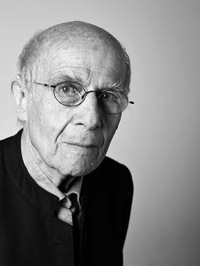 ◊ A detailed professional biography of Guedes, with illustrations, by Cedric Green. Click here to jump to the website. ◊ Links to several other websites with information about Pancho Guedes. Click here to jump to the page of links. 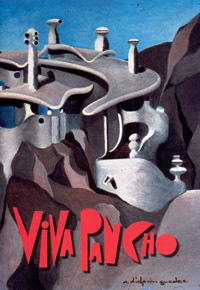 ◊ Download a PDF file of a tribute volume, Viva Pancho! by clicking here. The cover and the text are downloadable separately. ◊ Entitled «Architecture on a Grand Scale» this website presents a photographic album of Guedes’ work. Click here to jump to the site. ◊ A short Wikipedia article on Guedes. Click here to jump to the page. José Forjaz designed the monument to Mozambican heroes in Maputo and was a member of the Assembleia Popular, as well as holding cabinet positions. ◊ The website of José Forjaz Arquitectos. Click here to jump to the home page. Above: The monument to the heroes of the Mozambican revolution, designed by José Forjaz in the Praça dos Heróis Moçambicanos. ◊ An article: ‘The work of José Forjaz in Mozambique’, by Denise Denis, from Environmental Design: Journal of the Islamic Environmental Design Research Centre no.1-2 (1988), pages 94-103. Click here to download a PDF file of the article. This page was first posted on Friday 4 May 2012.